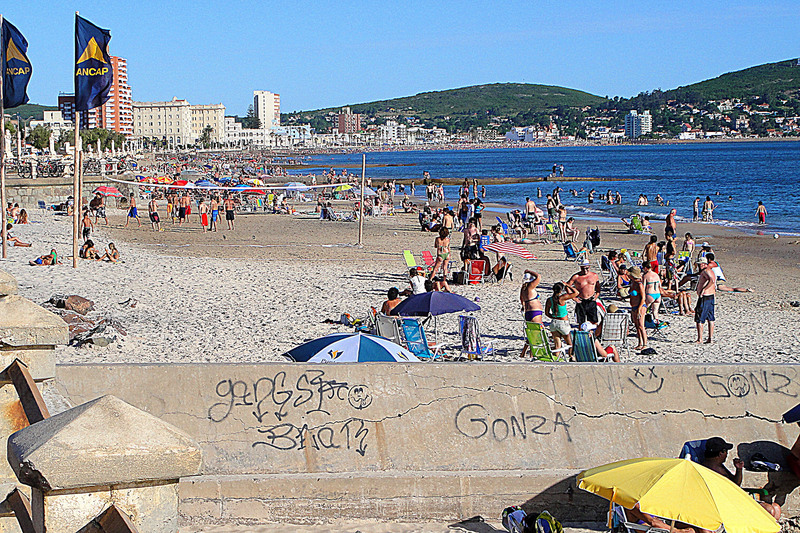 Uruguay’s beaches are getting crowded. Montevideo is a port city and the capital of Uruguay. One-third of Uruguay’s population lives there. The city is filled with well-maintained old, colonial architecture. Beautiful green plazas are scattered throughout. You can visit old churches, good museums, busy theatres, popular beaches, and enjoy a lively night life. Montevideo’s beach is a river beach. Lots of people enjoy the beach, a nice break from a hot city. Piriapolis is 62 miles east of Montevideo and much smaller. I liked it better. We were lucky to find an expat renting a beach house…our new home. We went to the beach every day with the dogs. The beaches were quiet when we arrived since it was still springtime. As the days got warmer, the beaches filled with people. When I say filled, I mean wall-to-wall, no space to walk between people. They arrived in the morning, put up their umbrellas, put down their towels, and drank mate. The patch they have staked out remains theirs even if they wander into town for lunch. At 5 or 6 pm, there is a mass exodus. Everyone heads home to clean up. By 10 pm, the restaurants are packed. 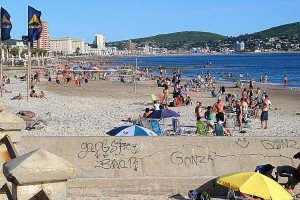 Many of the beach goers are from Argentina and Brazil. This is a bit ironic if you look at the history of Uruguay. The country was basically created as a buffer zone during the time the Spanish and Portuguese were fighting over territory, and Uruguay switched hands several times before becoming independent. Punta Del Este is a city up the coast (actually east) that is practically uninhabited 9 months out of the year. Then for 3 months (December-February), it is “the” place to be. Rentals are booked early and rates skyrocket. Jose San Ignacio is close-by and even more upscale: definitely the place to “see and be seen.” And, of course, some excellent restaurants open to feed the masses. 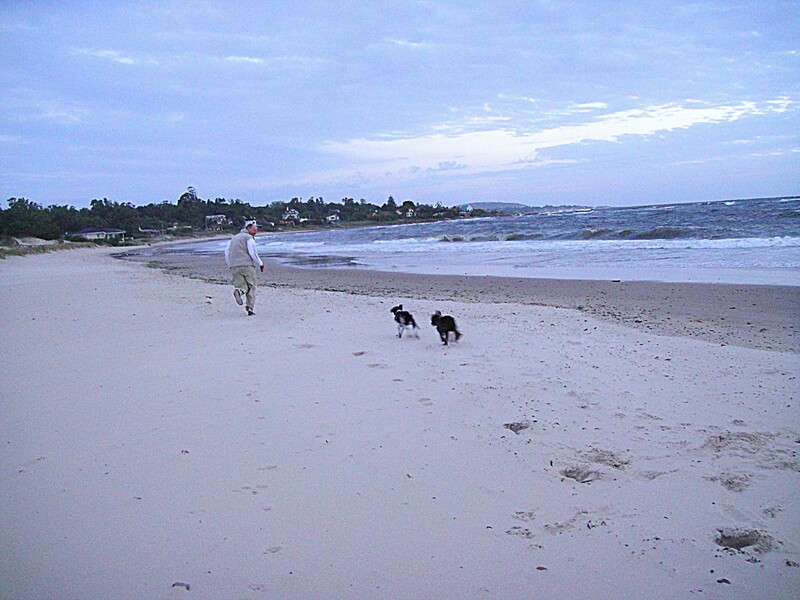 Once you get past Punta del Este, there are a number of beaches with fewer people. You also have a better chance of seeing sea lions and penguins. We preferred quieter beaches where we could let our dogs run free. Luckily, the beach in front of our home had a huge beach, at least at low tide. 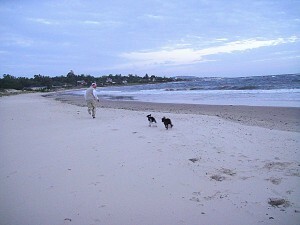 We let the dogs run free in the morning and sometimes in the evening depending on when the beach crowd left. In general, people here love being in crowds. They preferred the city beach with wall-to-wall people and restaurants you could easily walk to for lunch. Our beach was much quieter. A few families arrived in the morning, but there was always space for tossing a ball without stepping on others. Look at all the open beach…great for the dogs! We loved our beach! 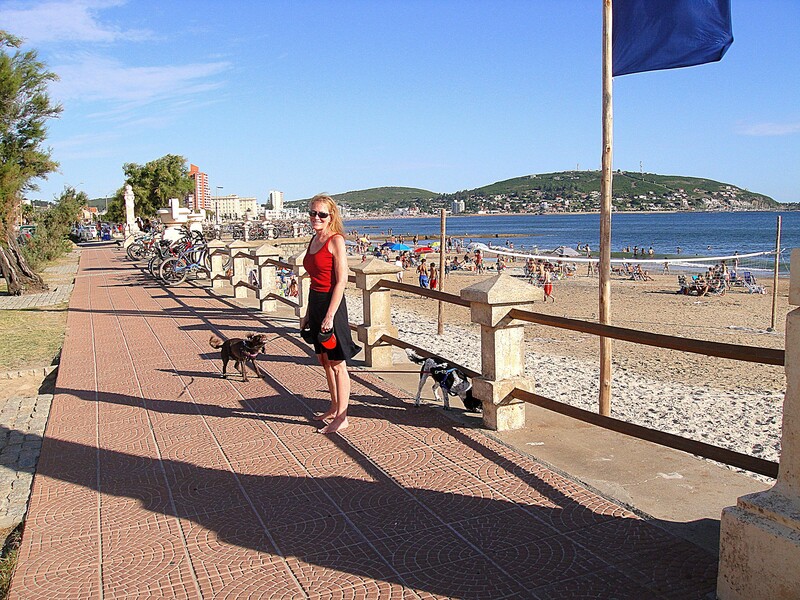 ← Moving to Piriapolis, Uruguay, had bag stolen.